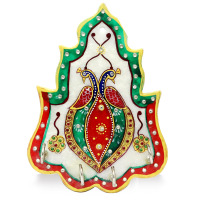 This key holder is designed by combining two geometrical shapes to create a smart look. 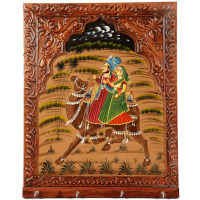 The top part is shaped like a semicircle and is Read More..adorned by flowery self-carving design. 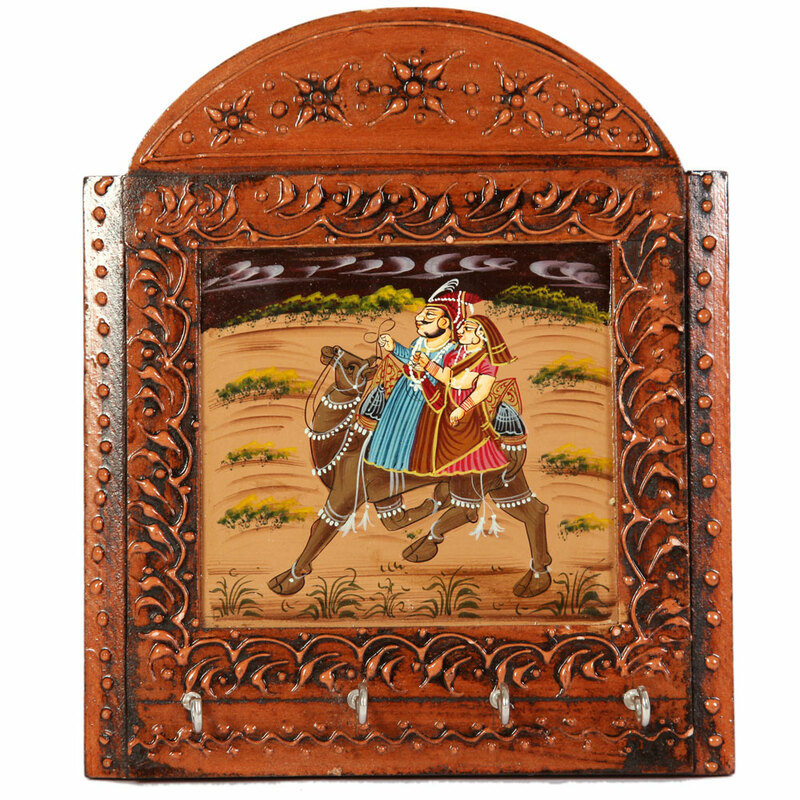 Below that is the square shaped body having the beautiful hand painting of a couple mounted on a camel. Show Less.. 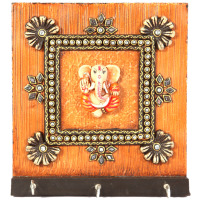 This stunning sculpture of a miniature hand painted Ganesh is inscribed inside a sq. 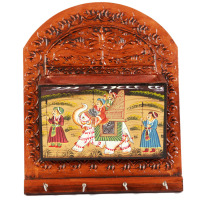 frame adorned with splendid kundan and bead work is superb. The traditional hand painting of a handful mounted on a artiodactyls mammal, provides it the planning of an ornamental and distinctive mural.